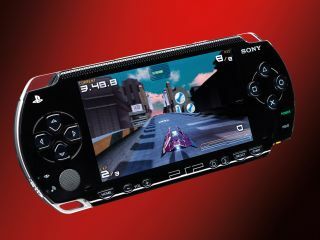 Sony will be releasing a smaller, lighter version of the PSP , according to Ray Maguire, Sony Computer Entertainment UK managing director. Maguire was addressing an invited audience of press, teachers and education specialists at a seminar regarding Sony's PSP in Education drive, demonstrating the handheld's potential usefulness in education. According to Maguire, a redesigned PSP would retain the original 4.3-inch screen size - a key feature of the current console. He made no mention of any hardware changes. "In the longest term, we are always looking at ways to continue our platform development, and this normal business practice is what Ray was referring to," a Sony spokesperson told GamesIndustry.biz. This 'normal business practice' included the original PlayStation - which was reincarnated as the PSone, and the PlayStation 2 - which was replaced with the PStwo. A redesigned handheld worked for Nintendo; the games veteran released the Nintendo DS Lite almost a year after releasing the original DS.